For about an hour, panel members shared colorful stories about their residency experiences at VCCA, Yaddo, MacDowell and other artists' communities, both in the US and abroad. It was a relaxed and informative opportunity for folks interested in applying for residencies, so when the discussion opened for audience participation, there was a lively question and answer period. Paul Reisler's songs have been recorded by singers from Delbert McClinton to Cracker. 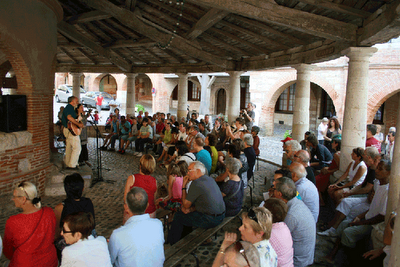 But on Sunday, September 16, he took a break from his VCCA-France residency to perform his own songs for the citizens of Auvillar. He was accompanied by friends, neighbors and local musicians in La Place de la Halle, a circular hall built in 1825—relatively new for the medieval village of Auvillar. While in residence at Moulin à Nef, Paul Reisler completed his musical, Bouncin, for which he wrote both the music and score. For more about Paul and his concert, read the story in La Depeche. 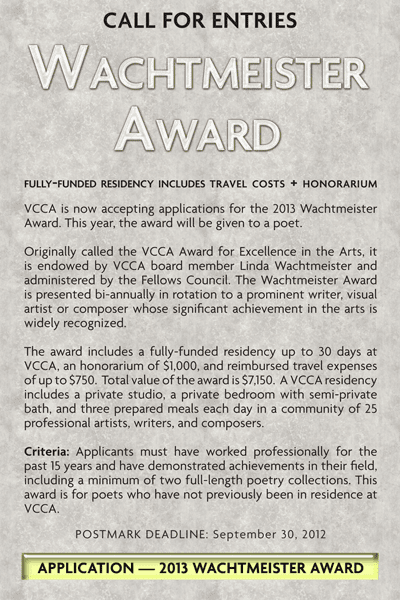 Poets New to VCCA! 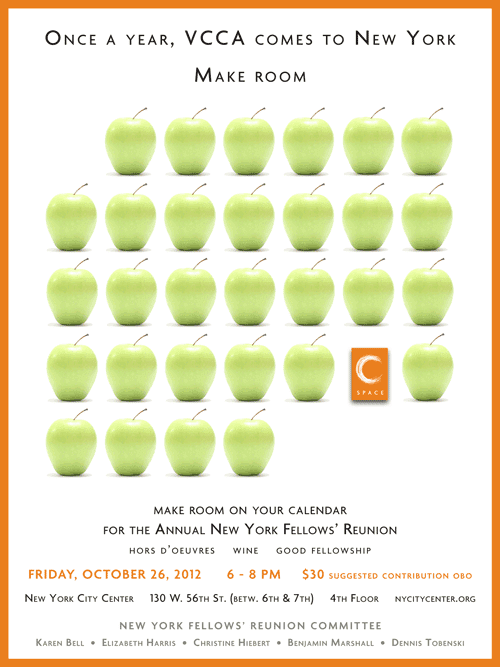 Deadline To Apply Is Sept. 30!